A dry cleaners is a dry cleaners, isn’t it? The answer to that is a resounding no when you consider Newcastle based Dry Cleaners. Dulais Dry Cleaners, based in Darras Hall, Newcastle upon Tyne. Boasting a clientele which includes well known sporting celebrities and exclusive professional patrons, sensitivity and sophistication are two of the attributes which set this company apart in the field of cleaning services. Direct Submit are now pleased to announce another new client, Arktek Heating, a North East based Gas Safe accredited installer and emergency repair company specialising in premium boiler installation and all aspects of maintenance and repair work, ranging from routine annual servicing to 24/7 emergency breakdowns. Arktek Heating understands the importance of maintaining a reliable heating and hot water system in your home and, should you have any problems, are there to help you 24/7, and 365 days a year. They can also help you extend the life of your central heating system and protect your investment with servicing and maintenance by their team of professional, fully qualified engineers. Unlike many gas installer and service provider, you don’t even have to think about servicing as they will call you to remind you when your next service is due and arrange a suitable time, day or night to complete your service. 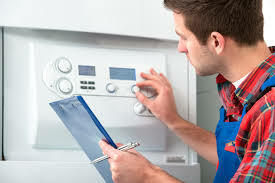 For further information about the range of replacement gas boilers available or the landlord emergency repair and maintenance services, please call 0191 516 6911 or visit their website. If you want to know more about promoting your website on the Internet, call Direct Submit on 0845 272350 or visit their Search Engine Optimisation (SEO) services website. Search Engine Optimisation (SEO) should be an essential part of your businesses marketing strategy. Put simply, its job is to increase your enquiries and to make sales. Properly applied, SEO will help your company’s website appear higher up the natural search engine rankings for targeted key phrases. This is where Direct Submit can help you and your business. Summer is the perfect time of year for tackling light home improvement projects such as the installation of new made to measure blinds. If your home or flat needs a facelift, consider what a difference new blinds and perhaps also a fresh coat of paint will make and how much more comfortable you will be in your home environment once the job is done. New blinds come in a wide variety of styles and colours, and what will work best in your home depends largely on the number of windows you have – and, thus, the amount of natural light you have. 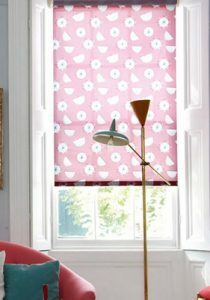 If your prefer blinds in lighter colours which won’t overly darken the room, simply opt for a thicker material like what is typically used for Roman blinds, paper blinds and high-quality Venetian blinds. No matter what your preference may be in terms of looks, made-to-measure blinds can also improve energy efficiency by providing shade in the summer months and blocking drafts in the winter. When considering the options available to you, it is of the utmost importance to know how you want your new blinds to fit the windows in your home, and this is where made-to-measure blinds come in. For recessed windows, you will want to choose the exact area you want covered by blinds (normally only the recessed area) so that they will hang straight and complement an attractive window treatment. Reputable companies will allow you to take window measurements and then provide you with a quote for bespoke blinds that will fit any window in your home perfectly, no matter the shape or size. The Beautiful Blind Company has been in the business of building and installing made-to-measure blinds in residential and commercial settings for over 25 years. Our Perfect Fit blinds can be measured to fit virtually any window, including conservatory roof windows, without drilling into your window frames or otherwise taking away from the attractiveness of your home. We’re certain that you will be absolutely thrilled to see what a dramatic improvement in the look of your home can result from such a simple change! Creating a new or updating an existing bathroom is a really good way to improve and add value to any property, especially if it is done to a high standard using top quality products, at P T Ranson you are sure to find a stunning range of bathroom suites and furniture that is ideal for any bathroom project. With an excellent variety of ideas to suit bathrooms of any shape or size and featuring designs from top suppliers such as Makti Bathrooms and Vitra Bathrooms you will be certain to find everything you need to create a truly perfect bathroom suitable for any style of property. With a wide choice of excellent bathroom suites, furniture and accessories from a range of exclusive high quality designers you can be sure that no matter how extravagant or simple your ideas may be at P T Ranson you will sure to find plenty of inspiration, take a look at the latest models of showers, baths, basins and other items from top suppliers such as Matki Bathrooms & Showers and Vitra Bathrooms and see how you can easily create a bathroom that is not only full of the benefits of the most modern technology but also looks absolutely stunning. If you are hoping to create a more traditional look for your bathroom that complements the age or style of your property that is still one hundred percent reliable take a look at some of the beautiful products available from Imperial Bathrooms, with an excellent range of basins, toilets and bathtubs as well as many other accessories to help you complete the look they offer everything you need to complete any bathroom project to the highest possible standard. With all designs being created with Imperial Bathrooms trademark elegance and being produced using the best quality materials available such as genuine brassware, solid wood and fine ceramic carefully finished with Imperials own brilliant glaze you can be sure that any bathroom designed by Imperials bathrooms is guaranteed to stay looking good for many years to come. For those who are looking for a more modern look within their bathroom but still want the same high quality product its defiantly worth checking out the range available from Vitra Bathrooms with some really unique and up to the minute products available you can be certain that you bathroom with be completely on trend! With designs being created using top quality Turkish ceramic there is a real Mediterranean feel to all of these beautiful and innovative products, alongside all the luxury that style and modern design can bring. With everything you need to create a real haven within your home Vitra bathroom products have a wide range of showers, bathtubs, basins and other products available so you can design a bathroom that is totally suited to your home. So no matter what type of bathroom you would like to make or if you are just looking around for some new ideas the excellent range at P T Ranson is the ideal place to start looking for everything you need. With so many different ranges available from such a wide range of suppliers, all featuring their own unique features, you will find plenty of products to compare until you are totally happy with the design that you have chosen. So if you want to install a new shower in your bathroom why not get some inspiration from P T Ranson? 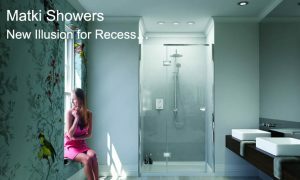 Regardless of your tastes or the style you are hoping to achieve with such a wide range of top quality products you are sure to find the ideal shower for your bathroom. So why not head over to the P T Ranson bathrooms website for some inspiration and start planning what you could do with your bathroom this year? With so many unique and high performance products on offer from some top bathroom design companies you can be sure that you won’t be disappointed. By improving the quality of your website, Google will perceive your website to be authoritative and user-friendly. Your website will rank highly on the Google search results pages, as a result, and this means a constant stream of traffic. In 2012 and 2013, Google unleashed their Panda and Penguin algorithms. You may have heard of businesses who collapsed after these algorithm releases. These algorithms severely reduced the rankings of websites that were “low-quality”, in terms of Google’s eyes. Most low quality websites lost all their traffic overnight. In the future, having a high quality website will help establish trust with Google and will ensure that all your online marketing efforts will reward you with much traffic and customers. It’s certainly fundamental to know that by having a high-quality website, you’ll set a solid foundation that will be easy to build on in the years to come. When Google bots are scanning your website to be indexed in the search results, they scan the main keywords and phrases. This means that the more content you have on your pages, the more words the Googlebot will be able to scan through. Google likes to see pages with lots of text (even a few paragraphs per page is enough), because it displays that you want to serve the user with as much helpful information as possible. If your pages have lots of pictures and little text, the bot won’t be able to scan anything, and your website will be viewed as a low quality website. You don’t need to be writing pages of text, but a few paragraphs per page is sufficient. If you run an ecommerce store/business and have pages with product lists, you can include a few paragraphs at the top of the page about the type of product. If you have placed ads on your website, either through Google AdSense or with another platform, avoid placing them “above the fold.” This basically means the first screenshot the user gets of your website: ie, when you arrive at a website and don’t scroll any further. By placing a lot of ads in this area, Google will think that your sole aim is to have people click your ads and then leave. Avoid popup ads and ads that take up large spaces. When you are writing content for your blog, make sure that it is above 600 words (ideally, keep it above 800 words) and that it contains helpful, useful information for the reader. If you just write blog posts in order to gain traffic, but your articles aren’t informative or useful, your website could be penalized as a result. Avoid rehashing material that already exists on the web. If you are writing about a heavily-written topic, try and add your own personality and flair to your writing. Include statistics or fun facts, in order to add an entertainment value to your reader. If pictures and video can help enliven the user experience, you can add those, too. Above all, avoid writing short (550 words or less would be considered short) articles that provide little value. To start attracting more backlinks to your site, you need to create “linkable” content, ie: content which people want to link to. Some SEO companies or websites may encourage “Grey hat” practices. This might include creating doorway pages, keyword stuffing (adding hundreds of keywords to each page), cloaking (hiding keyword stuffing by making the text the same colour as the actual webpage) and buying links. These practices are finally outdated and they can get your website penalized heavily. If you avoid these practices, the Penguin and Panda algorithms will ensure that you’ll stay in the search results. Having a high quality website establishes trust with Google. Once you’ve set a solid foundation, your website will continue to grow and prosper. Once you make a habit of creating high quality blog posts, focusing on giving your user a great user experience, your website will be on the path to total trust with Google and continuous prosperity.